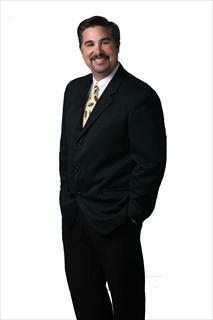 I have been a full-time Realtor since 1986, specializing in single family residences and multi-family properties. I started my real estate career in 1986 working for Goldenwest Realtors, an independent real estate firm in Cerritos, California. Looking to have a national presence, I joined Century 21 Westworld in 1996. Prior to my career in real estate, I was a project coordinator for a mid-sized construction company, gaining valuable construction knowledge and management skills that have been helpful to my real estate clientele. I have been married for 32 years to my wonderful wife, Vicki, and have four beautiful daughters. We are very involved with our daughters’ schools and also volunteer many hours in support of their athletic teams. I have been a non-profit director coordinating major fundraisers with hundreds of volunteers and raising these organizations hundreds of thousands of dollars. I have spent most of my life living in La Mirada and raising our family here. I have received many awards throughout my career, and my production has kept me in the “Top 5 Producers” year after year. I continue to attend seminars and classes to keep me up to date with the ever-changing Real Estate industry.